This is the first in a series of articles addressing traditional and contemporary methods for heat treating and brazing of advanced engineering materials. The objective is to emphasize the basic thermodynamic principles underlying practical applications in materials processing. To that end, I will begin with a presentation of some important thermodynamic concepts. Traditionally, the branch of physical science known as chemical thermodynamics is generally viewed as distinctly dry and boring. 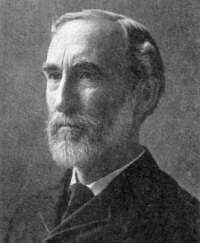 However, I am not one who shares this view and have come to appreciate that Josiah Willard Gibbs (1839-1903), widely considered as the “father of modern thermodynamics,” was one of the greatest scientists America has ever produced. He was known as a kind, reserved and quite humble man, in spite of his tremendous accomplishments. But before we delve into Gibbs and his contribution to thermodynamics, we need to review some basic terms and paradigms. A thermodynamic system is a macroscopic entity that contains mass, occupies physical space and is an aggregate of many microscopic particles such as atoms, molecules or ions. The system is enclosed by a boundary, which can be real or imaginary and may change with time. The boundary constrains the system and separates the system from its surroundings, so that we can then define the universe as the system plus its surroundings. Since matter and energy, often expressed as heat or work, may be exchanged between a system and its surroundings by acting across its boundary, different types of systems can be defined. An open system is one in which matter and energy are freely exchanged with its surroundings. Conversely, a closed system precludes exchanges of matter, but not necessarily energy. Finally, an isolated system does not allow any exchanges with its surroundings. This then leads to the concept of system equilibrium. A system at equilibrium is characterized by no net flows of matter or energy, no changes of phase, no net driving forces within the system and all system properties are time-independent. Simply stated, there is a state of balance in the system. Examples of types of system equilibrium include thermal equilibrium where the temperature is the same throughout the system, mechanical equilibrium where no change in pressure occurs at any point in the system, phase equilibrium where the mass of each phase is constant in time and chemical equilibrium where the chemical composition of the system does not change. Thermodynamic systems are described by thermodynamic state functions, also known as state variables or state properties. They are called “state” functions because they only depend on the state of the system, not on the history of how the system arrived at the current state. In other words, state functions characterize the state of the system independent of any changes or how the changes were produced. In turn, state functions can be subdivided into extensive functions, where the magnitude of the function depends on the size of the system and intensive functions where the magnitude of the function is independent of the size of the system. In other words, extensive functions are additive and intensive functions are not. There are many state functions and some typical examples include temperature, pressure, volume, energy, enthalpy, entropy and Gibbs free energy. Examples of extensive functions include mass, volume, amount of energy or surface area of a solid whereas intensive functions are things like density, concentration, pressure or temperature. Now we can discuss the means by which the state of a system can be changed, namely work and heat. These are really just two different modes of energy transfer. Work is a force in the surroundings acting on the system resulting in a displacement, or vice versa. In general, work is not a state function because to define work one must know the path followed by the applied force. By convention, work done on the system by the surroundings has a positive algebraic sign. For example, if a gas is compressed or expanded by an externally applied pressure then, dW = -PextdV, where Pext is the pressure exerted on the gas by its surroundings and dV is the volume change of the system. So, if the gas in the system is compressed by the externally applied pressure then dV is negative and dW (the work done on the system) is positive. A good way to remember the sign convention is to think about the change in energy from the point of view of the gas (i.e. the system). When the gas expands against an external pressure, the gas must transfer some energy to the surroundings. In that case, the negative work decreases the overall energy of the gas. However, when the gas is compressed, energy is transferred to the gas so the energy of the gas increases due to positive work. The other means by which the state of a system can be changed is heat. Heat is energy transferred across the system boundary due to a temperature gradient at the boundary. Heat, like work, is an algebraic quantity and has an associated sign. By definition, heat absorbed by the system from the surroundings has a positive sign, which is an endothermic process. When heat flows out of the system to the surroundings it has a negative sign and the process is exothermic. Heat can also be viewed as the result of dissipating work. In 1798, Sir Benjamin Thompson, also known as Count Rumford, performed an experiment at the Munich Arsenal where he used a blunted boring tool to bore a cannon barrel immersed in water. He was able to boil the water by friction and showed that the heat produced was roughly proportional to the work performed during the boring. His work clearly refuted the prevailing caloric theory where heat was regarded as an invisible fluid which resided between the constituent particles of a substance and established the concept of the mechanical equivalent of heat. In the next article we will explore the Laws of Thermodynamics and their ramifications for process spontaneity, irreversibility and the Gibbs free energy of a closed system. Copyright © 2017 by Michael T. Powers – All rights reserved.